A selection of our Polish Air Force related aircraft. 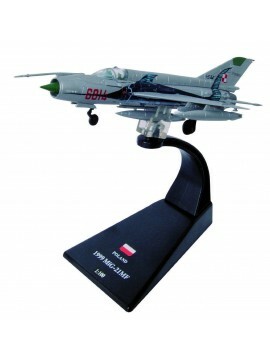 A 1:100 metal diecast scale model of the Polish 1999 Mikoyan MiG-21MF 'Fishbed-J' supersonic jet fighter and interceptor aircraft, used by the Polish Air Force. 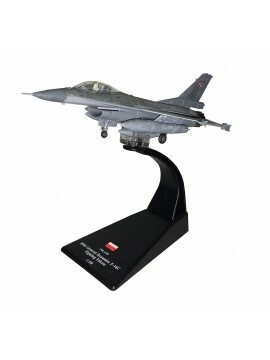 A 1:100 scale model of the Poland F-16C Fighting Falcon - A single-engine supersonic multirole fighter. Operated by many countries, however this model is specific to the F-16's operated by Poland. 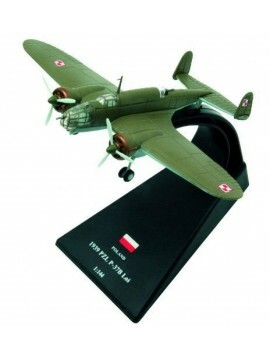 A 1/144 scale model of a Polish 1939 PZL P-37B Los (212th Bomber Escadrille, 10th Bomber Squadron) - A Polish twin-engined medium bomber which upon its introduction to service was popularly considered to be the most modern and effective weapon possessed by Poland.